Alpro Architectural Hardware, based in Poole, will be exhibiting at Ecobuild 2011 at Excel, London on stand N235. The exhibition runs from 1-3 March. 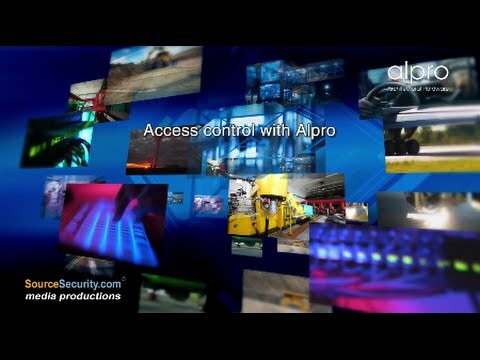 Alpro’s extensive product range encompasses electro-mechanical access control products and is complimented by a wide range of mechanical door furniture tailored to the commercial aluminium OEM marketplace. This market leading company offers, concealed transom door closers (for use in DDA compliant systems), a wide and varied range of pull handles, keypads, electric bolts and a complete range of narrow stile door locks, all held in their warehouse for next day delivery to the customer. With the majority of these products being manufactured from recyclable materials such as aluminium. Alpro will also be show casing their new range of electric strikes, which include selectable 12/24v dual voltage, AC/DC versions and weather resistant models, all of which embody an innovative change over mechanism which can be changed in less than 30 seconds. The impressive holding force, coupled with competitive prices and a 6 year warranty make this range of electric strikes unbeatable. Available with both a long or short faceplate, the features built into the strikes allow them to be used in a variety of applications. Having inherently low voltage current draw ensures that these products are more efficient and thus more environmentally friendly. To ensure Alpro hardware stays at the forefront of new product design and innovation, the company has launched the Vortex range, a new generation of face to face electromagnets. The magnets are smaller than a standard slimline magnet, but combine higher holding forces of 1500 kgs with lower current draw than standard magnets, making them both more efficient and ecologically suitable. Additional features built into the units include dual monitoring, locking and door position and a version is available with a large built in LED to allow visual status. The magnet is also fitted with pressure sensors to provide an early warning system. If the unit is alerted to force, as in the situation of illegal entry, the magnet sends an alarm to pre-warn that access is being breached. Other additions to the product range include a mini-electric bolt, an infra red proximity switch and remote keypad, a mechanical digital lock and a complete range of electronic solenoid bolts, all of which will be on show on the Alpro stand for closer inspection. Supporting this impressive range of products are both internal and external sales support nationwide, combined with technical and quality control procedures, to ensure a continuous product and service offering to our extensive customer base. To underpin Alpro’s involvement within the commercial aluminium industry and its green credentials, Alpro Hardware is a member of the Council for Aluminium in Building (CAB), which is committed to both sustainability and recyclability of its products generally.